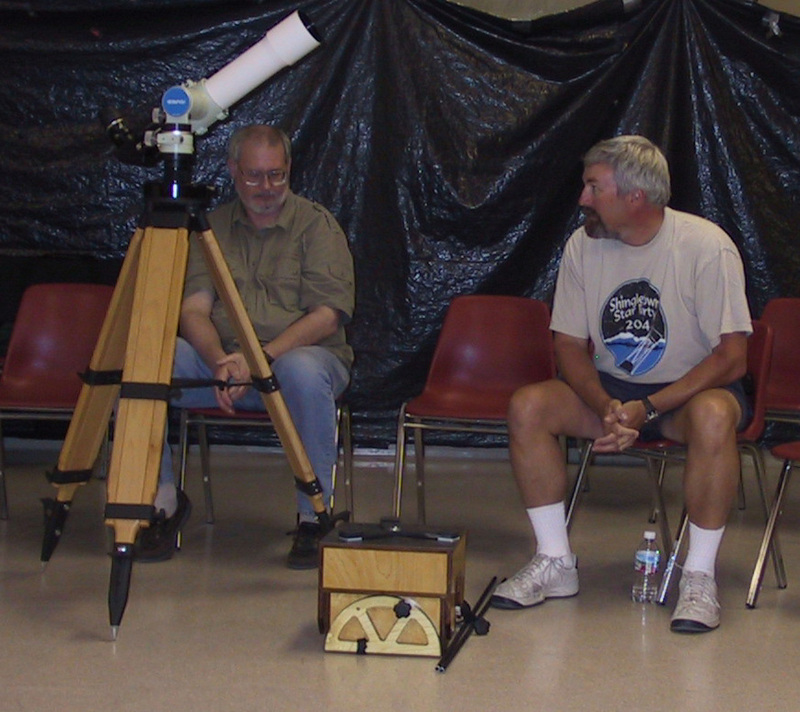 Top:That small box on the floor is a complete string Dobsonian telescope, the amazement of some and the delight of its creator, Craig Colvin. Rich Neuschaefer admires the fine craftmanship. 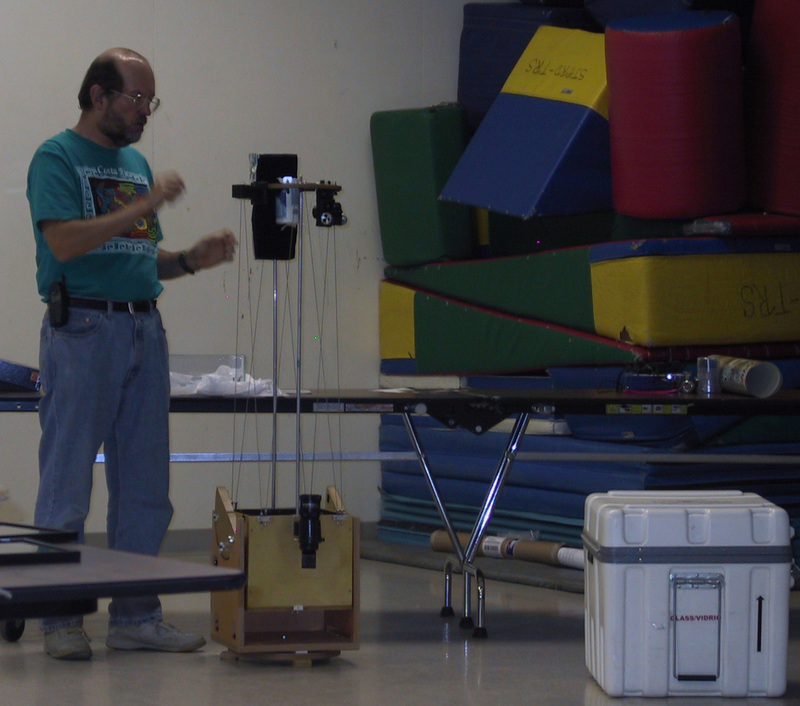 Bottom: Rob Hawley demonstrates his string Dobsonian which he successfully used on his trip to Costa Rica. Both string Dobs are 8" f/6 and based on a design by Charles Wickes. Photos courtesy of Mary Kohlmiller. 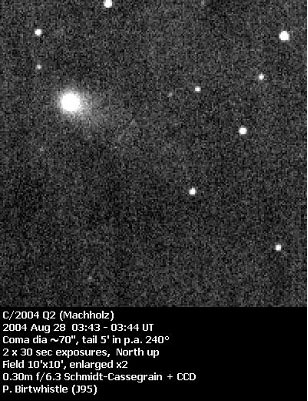 Early in the morning on August 27, 2004, from his home in Colfax, Ca., Don Machholz discovered his 10th comet. Don has been looking for and discovering comets for almost 30 years. Since January 1, 1975 he has logged over 7000 hours observing time looking for the elusive objects. Don will be speaking at the November 20th SJAA meeting about comet hunting and his latest discovery, Comet Machholz (Comet 2004 Q2). Read about Don's discovery of Comet 2004 Q2 (Machholz) in last month's newsletter. See a picture of the comet here.